A description of the owner, including an address or further information. The main contact form where users can fill in their names and subject and messages. Feedback: You might want to get feedback from your visitors over a product, or get comments about a post or article. Request/questions: You probably want your visitors to ask questions and inquire about a particular product and other things your site offers. While it is necessary to get a contact form for your site especially if you like feedback, it is also important to get a contact form built into your site. 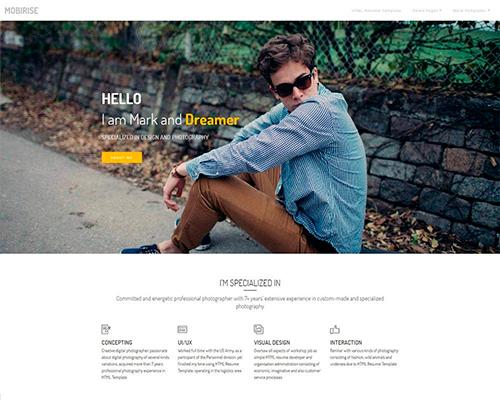 From the plethora of applications that can be used, we introduce a very good website builder below. 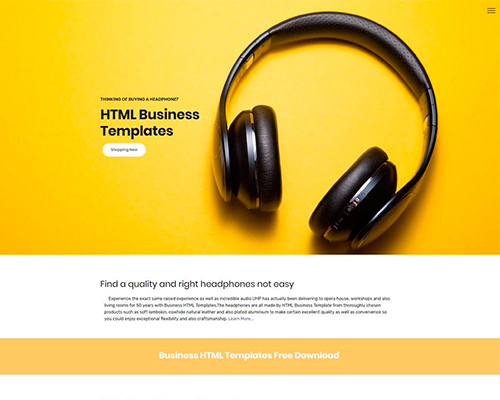 Mobirise Website builder is a free Bootstrap Builder (design) application software that was developed in 2015 by Mobirise. 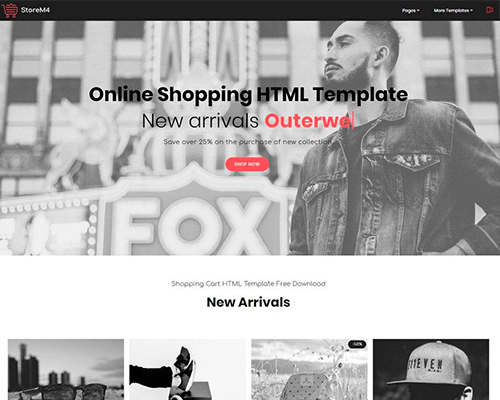 It allows users to create and "publish" bootstrap websites without any coding. 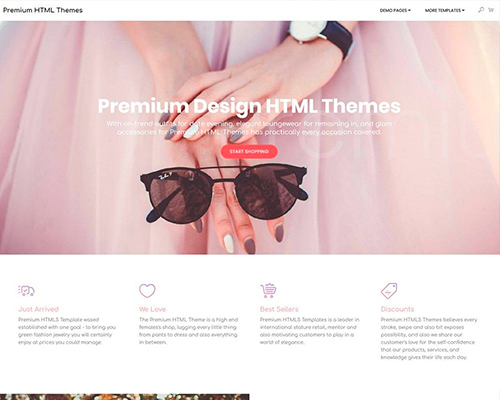 Mobirise website builders basically a "drag and drop" website designer that is preloaded with numerous themes for websites. 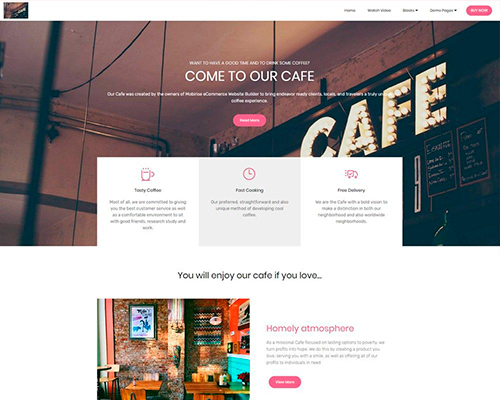 Mobirise is a free offline choice for Windows and MacOS for users to easily design small/medium websites, landing pages, and online resumes. 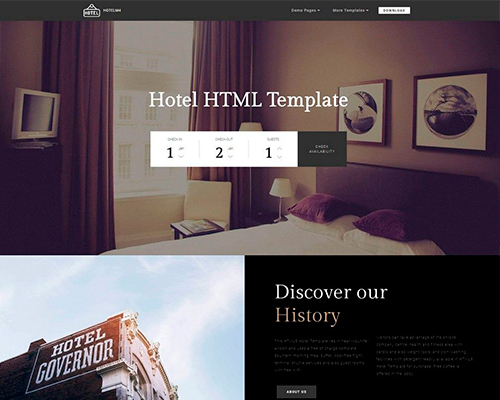 There are over 1500 beautiful website templates and themes to help you to start easily. While free, you can also get extended features and designs for a fee. Currently, Mobirise website builder is available on three different platforms: Windows, MacOS and Android OS. 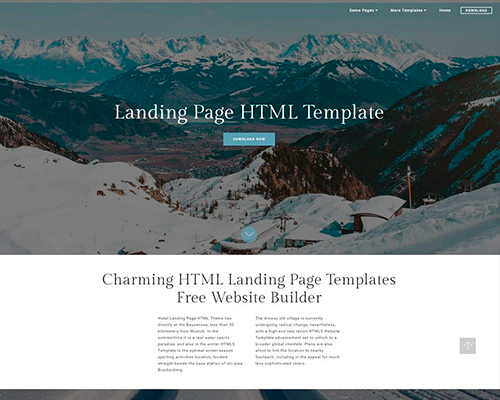 Bootstrap form builder is an extension on the website builder software that is used in adding a contact form to a website. 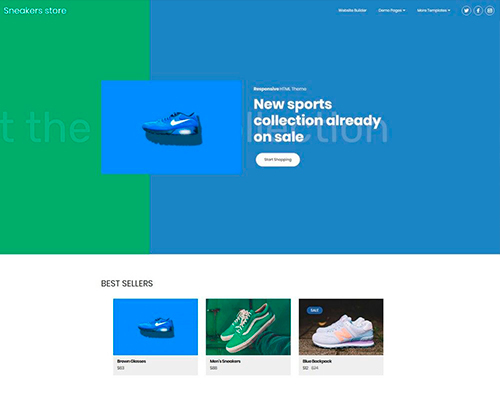 Mobirise web builder incorporates the Bootstrap form builder extension to give users a better way of designing forms on their site without having to code. Since all Mobirise themes support contact form blocks, it means that you don't need to use your own server-side scripts inn building contact forms and you can use a ready-made solution instead. 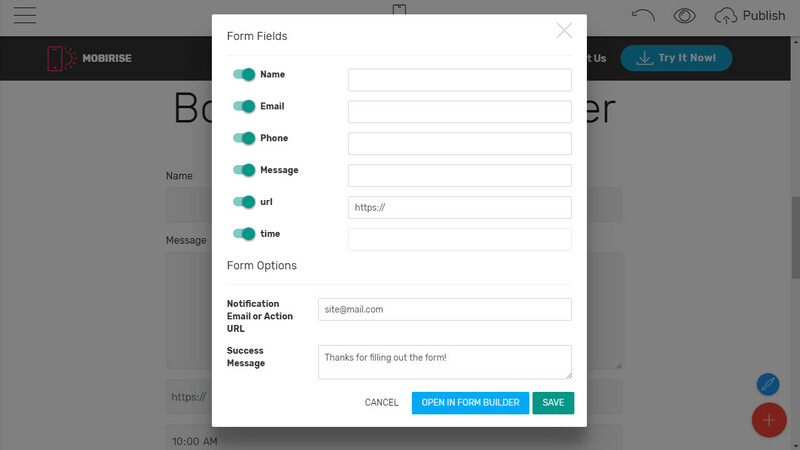 Using the Mobirise contact form builder is easy and yet powerful. First make sure you have the Mobirise installed on your PC and then do the following. 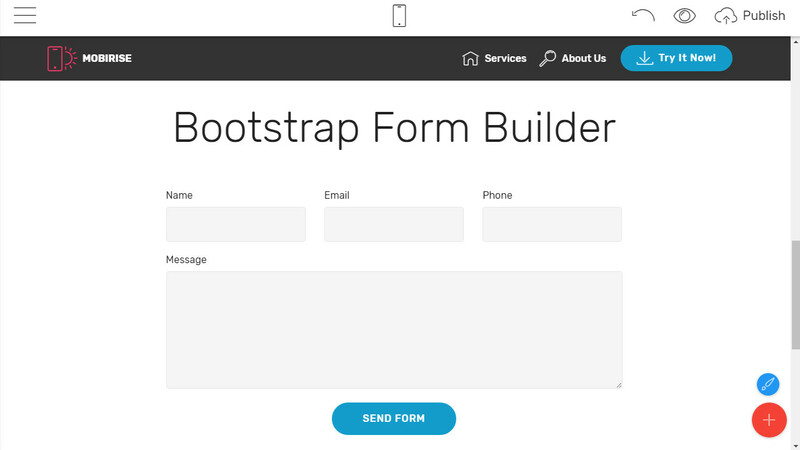 Open your page and add the Bootstrap form builder block on. Open the Bootstrap form builder by clicking on it. Create your form and hit the "Save and Close" button. Input an email for notifications in the Form Fields window. 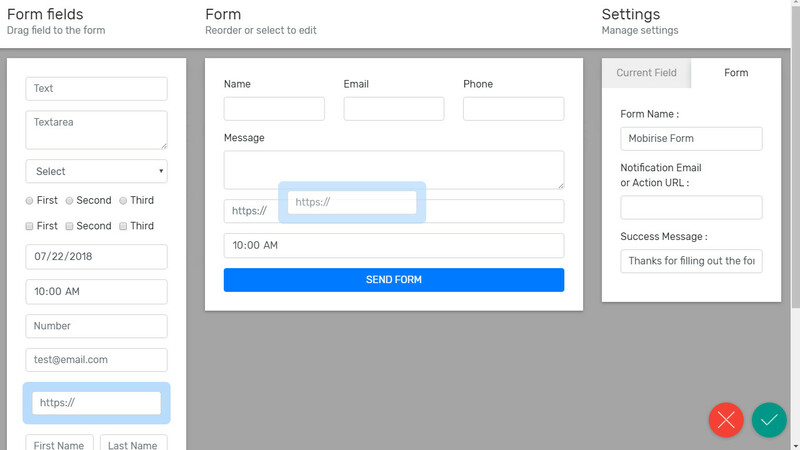 Drag the Bootstrap form builder block to add it, and then click on it to open the form builder. Three columns will be shown: Form Fields, Form, and Settings. Form Fields: The form fields is a list that contains several fields you can add to the form. Simply drag your desired field to the form column and drop. Or simply click on it in the list and it will be added. 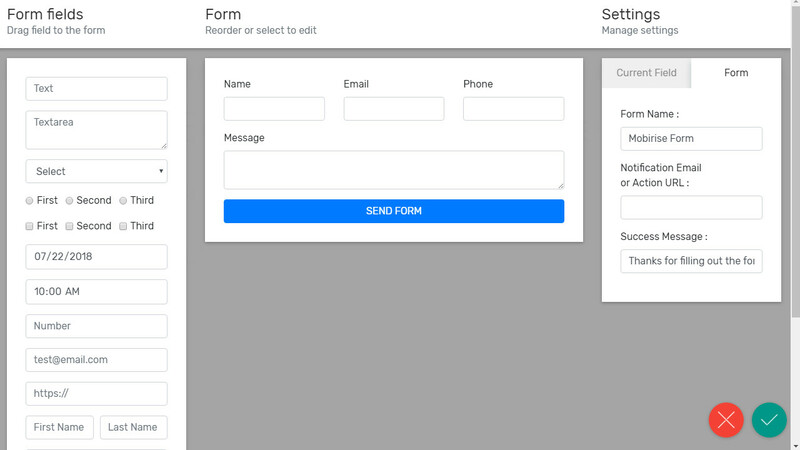 Form: You can also arrange the fields on your form by dragging them to the exact place you want them in. You can slow click on a form field in order to edit it. 0ther settings are available in the settings tab. Settings: From here, you can select the Form tab and edit your form settings. There are a variety of settings you can change and they are easy to understand and effect. To edit the settings of a specific field, click on it. Name: The value of this field is used in every email you receive and should be unique to your form. The name field is necessary for the identification of users and should be marked as required. Notification email: You can set an email that receives an alert of activities and other notifications on your site. Label: If you want a label shown for your field, then check this setting. The Label Text Field will be shown if you have checked this. Width: You can set the width of a field to the desired value. You can choose the Default value or the auto value. The former allows the field to take the required Space and the latter allows it to take the available space in a row. Pattern: You can set a special pattern for your form and give it different expressions. There's a compilation of several patterns that you can choose from. Avoid or reduce spamming: Contact forms are handled and processed serverside and so your email address is not just out there for spammers to harvest. This I'd safer than using other methods. Organized information control: Since you are in charge of the information fields you want to be submitted, you're much in control of the kind of information that gets to you. This allows you to organize your emails correctly. Gather customer data: You can do this in order to better serve your visitors. A contact form makes it easier for you to add fields that you think can fetch you more data from your customers. Better security Your visitors can feel better submitting some sensitive details since SSL is more secure than email. A contact form is a great tool for collecting data from visitors on your site and knowing how to add one is of immense benefits. Mobirise form builder provides the opportunity for you to add a contact form to your site without any coding knowledge. 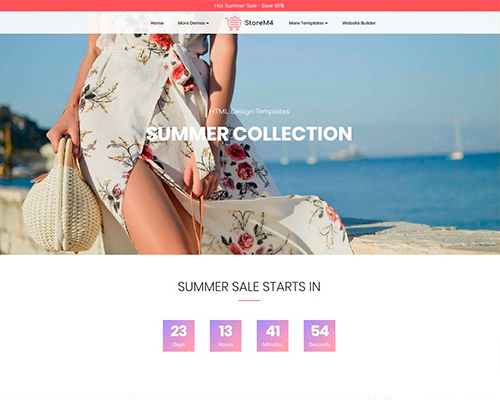 With a variety of designs and patterns you can choose from, Mobirise Bootstrap form builder is a great choice to pick.